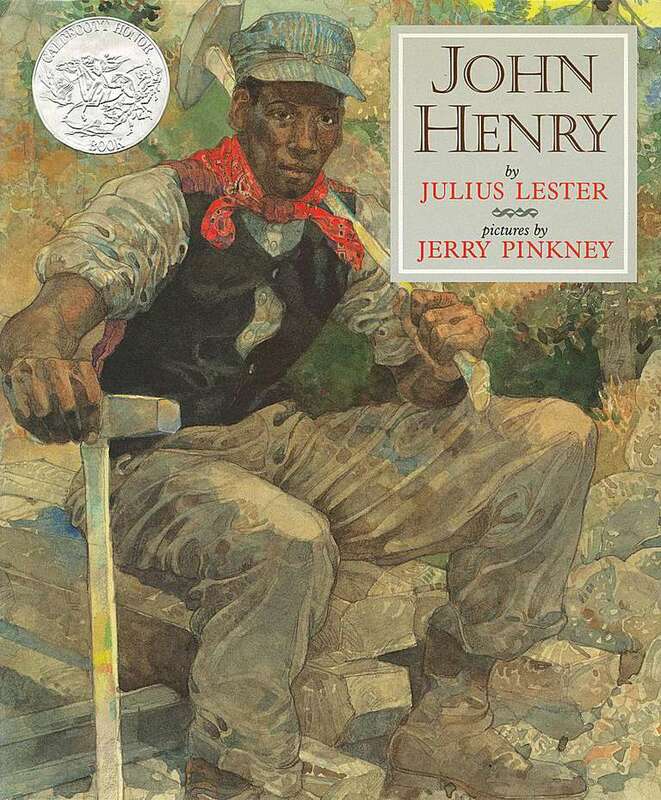 The legend of John Henry has been celebrated in song and story for generations, but my favorite version is the children's picture book John Henry by Julius Lester, with illustrations by Jerry Pinkney. Julius Lester's John Henry is based on the African American folk ballad "John Henry," the tale of John Henry, the steel-driving man who was bigger and stronger than anyone and the competition between him and the steam-powered drill in digging a railroad tunnel through a mountain. While John Henry dies at the end, this is not a sad story but a celebration of a life well lived. I recommend Lester's retelling of the story of the African American folk hero as an excellent read aloud for children five and older, as well as a good book for independent readers in grades 4-5. Julius Lester's story of John Henry begins with his birth and immediate growth to a size so large that "his head and shoulders busted through the roof which was over the porch" of his family's home in 1870s West Virginia. The tall tale continues with the saga of how John Henry grew big, strong, fast, and fearless. His crowning achievement, and the cause of his death, was winning a competition to break through a mountain so the railroad could go through. On one side of the mountain, the railroad boss used a steam drill. On the other side, John Henry used his hammers and amazing strength. When John Henry and the stream drill met inside the mountain, the boss was amazed to find that while he had come only a quarter of a mile, John Henry had come a mile and a quarter. John Henry walked out of the tunnel to the cheers of the other workers, then fell to the ground and died. Everyone who was there came to the realization that "Dying ain't important. Everybody does that. What matters is how well you do your living." John Henry was named a Caldecott Honor Book. and to be named a Randolph Cadecott Medal or Honor Book recipient is a prestigious honor. Caldecott honors are awarded annually by the American Library Association in recognition of excellence in American children's picture book illustration. Other honors for John Henry include a Boston Globe–Horn Book Award and being included on the ALA Notable Children's Books list. There are several things that make this book memorable. The first is Julius Lester's use of imagery and personification. For example, when describing what happened when John Henry laughed loudly, Lester reported, "…the sun got scared. It scurried from behind the moon's skirts and went to bed, which is where it should've been anyway." The second is the artwork of Jerry Pinkney. While Pinkney used his usual pencil, colored pencils, and watercolors, his use of shading is exaggerated in the illustrations, to good effect. This creates almost a transparent effect in some scenes, creating the illusion of looking into the far distant past. It's as if you can see what is going on, but you also know that it all has a bigger, broader meaning than just the scene depicted. The third is the extra information provided. It helps to set the context for the story. 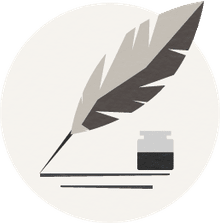 Included are brief author and illustrator biographies, a note from the author about his collaboration with Pinkney, and an overview of the origin of the John Henry story and the sources used by Lester. This information will be particularly helpful to teachers and librarians as they share the book with students.